Got this for Christmas. Seems pretty nice, steeled it to a keen edge. Have yet to try it out, but looks to be a good replacement for old, tired one I use now. BTW, some of the smilies are not active and produce the boxed x. Seriously though, I suspect the ergonomics including the use of "kullens" to prevent sticking, make this a very versatile kitchen knife. I got one just like it a couple months ago for about 4 bucks. Made in China, but it has worked pretty well. I chopped up all my ingredients for over a hundred quarts of salsa and other stuff I canned this year. I kind of like the santoku design. I jarvised(cut) the tip of my finger pretty good with the darn thing. whippersnapper wrote: I jarvised the tip of my finger pretty good with the darn thing. He ain't even home and he STILL won't quit! Somebody needs to take that boy out behind the woodshed! Have you hugged a Bear today? Location: Klamath Falls, Oregon Left Coast I can still see Mt. Zoomie from my house! Send it to me. If it can survive cutting through Mrs. Bonzo's holiday fruitcake, then its a keeper. "A little rebellion now & then is a good thing"
After using this knife I have a few observations. 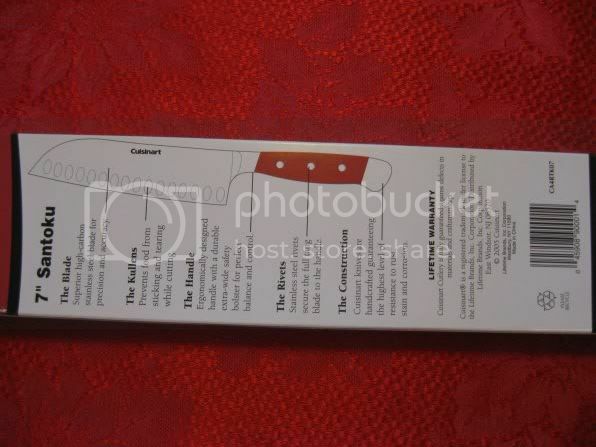 It is indeed very sharp and slices veggies and meat effortlessly. Meat doesn't stick, but usually that's not a problem anyway. If anything the scallops in the blade make the vegs stick more. It seems to me they create suction. I had to laugh at the claims when I couldn't even get the pieces of onion off the blade with violent shaking. Not sure what the idea is behind the bulbous tip on this knife. I can't see where it helps anything and does make cutting a bit awkward. Plus since the veggies are sticking just like with the old knife, the lack of a pointed tip makes it hard to fish a finger over the top to flick the slices away. Maybe I'm just picky, but I still haven't found a butcher's knife that I like. Prob end up using the ancient one I've had for most my life, even though it leaves something to be desired as well. I think the blade tip design is made that way so you can cleave with it as well as cut.Adds a little weight to the tip. As for the veggies sticking , try spraying the blade with PAM before chopping , veggies usually stick to a dry blade but not a wet one. The scallops are one of those new and improved designs used to convince housewives that it is the greatest thing since sliced bread. 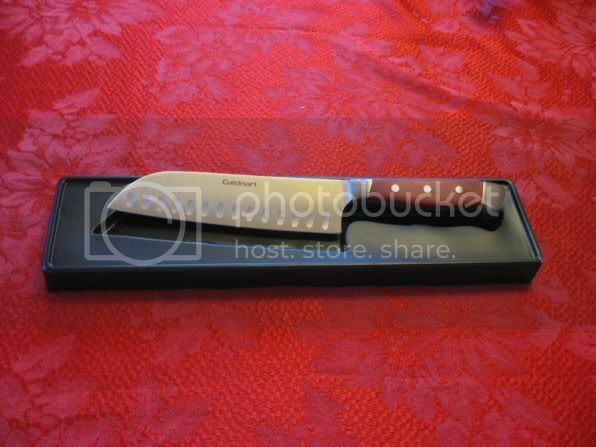 If you really want a good set of kitchen knives for short money ,look and see if you can find Dexter knives. they are/were made for restraunts (sp) and are well balanced and will last a life time. most kitchens rent there knives and get sharpening service along with it ,Dexter is one of the leading companies in rentals. I used to cook for a living and the finest knife for chopping I've ever found is the Furii. I got it from a friend who's a chef and got it wholesale for $65.00. The balance on the knife is incredible, the handle is very comfortable, nothing sticks to it and it keeps an edge, beautifully. Now, I see that Rachael Rae is using one on her show, and my friend tells me that they're now wholesaleing for $100.00 or more. Go figure. I'm sure the chinese will be making knock offs for $20,00 any day, now. Steel strings and steel springs...what could be better? I would gladly pay a hundred fer one if'n Ms Rae would deliver it in personess. Yeah, She's a cutie-pie. She can make me breakfast anytime. Rachel is a KEY-you-tee-PIE ain't she?? 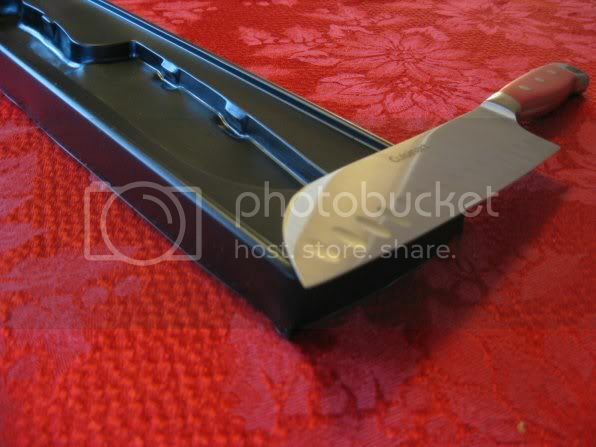 Furi has a nice sharpener out as well. I was a bit skeptical because, like all of us, I've bit on the "perfect" sharpener pitch before, many times. 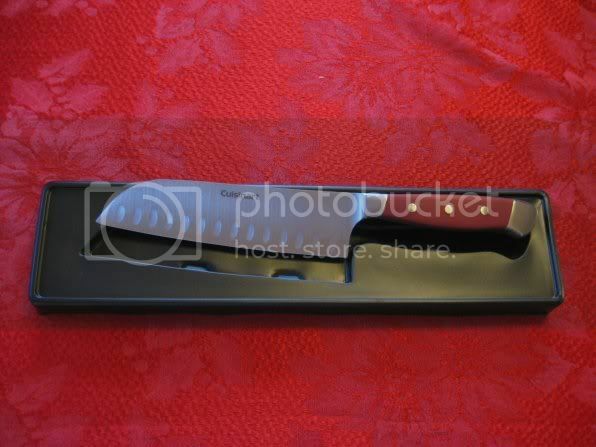 Furi sent me one as a sample and it worked VERY well for thin bladed kitchen knives but not so hot of thicker fixed blades or small knives like folders. HORIZON BLADEWORKS: http://www.nicnac.net . LOW KEY perveyor of HIGH TECH cutlery.